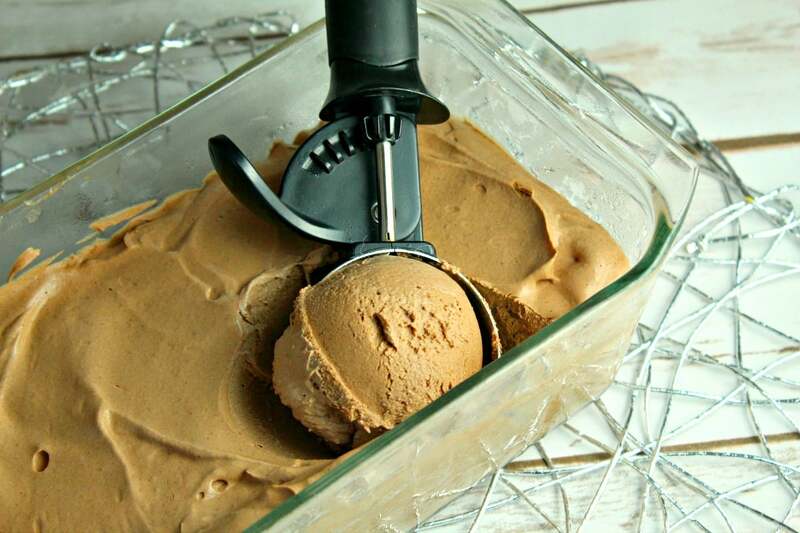 No churn chocolate ice cream is one of our favorite things to make and eat during the summer. Okay, we love ice cream any time of the year, but especially enjoy it during the warmer months. 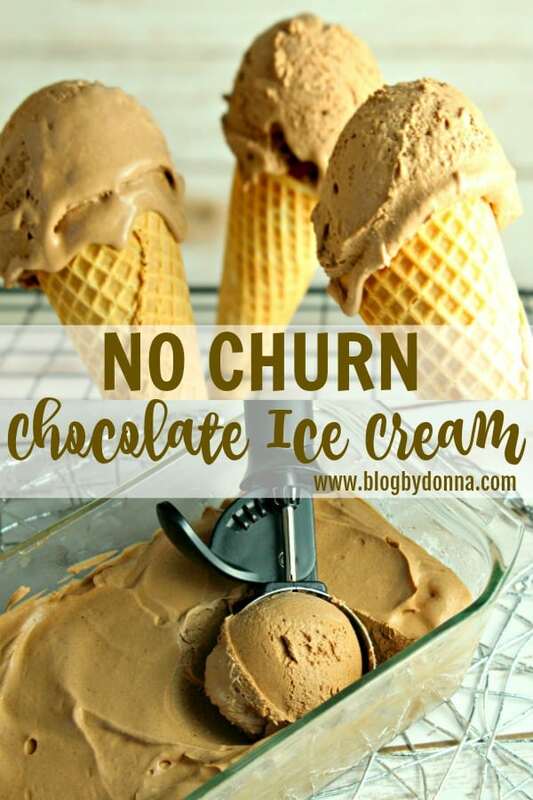 The reason I love no churn ice cream is that it’s so easy to make. After you try his easy, three ingredient no churn ice cream, it will become a favorite in your home, too. I get requests to make it all the time. Try this no churn ice cream recipe yourself and you’ll see what I mean. 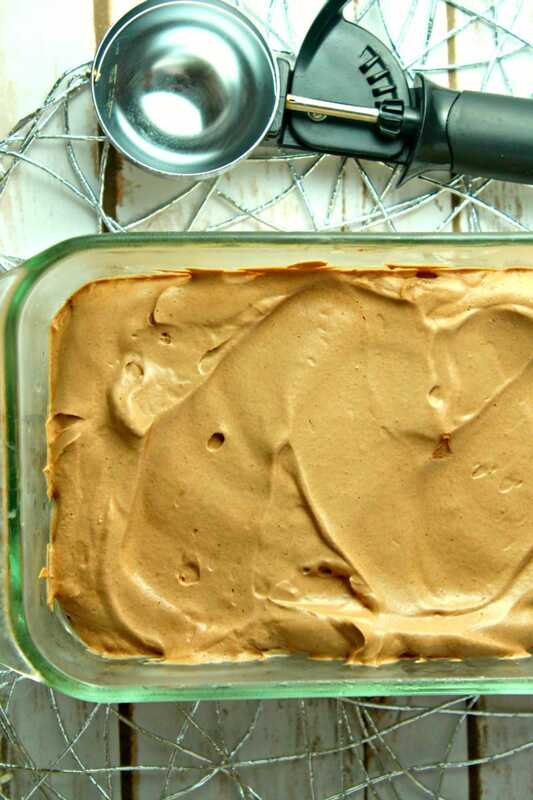 Whisk together cocoa powder and sweetened condensed milk in a large bowl. Pour in heavy whipping cream and use a hand mixer to beat mixture for 7-8 minutes, until stiff peaks form. Pour into a casserole dish or bread pan, spreading evenly, and cover with plastic wrap. Place in the freezer and chill for at least 6-8 hours. 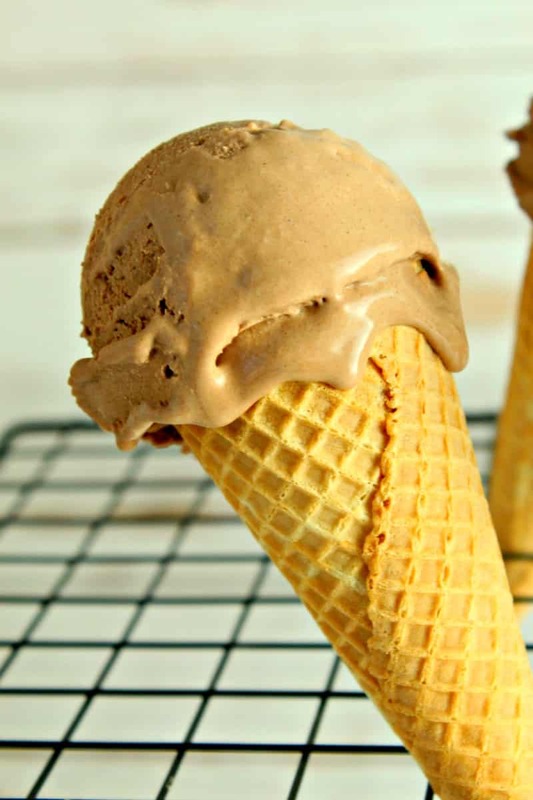 See, I told you it couldn’t be easier to make homemade no churn chocolate ice cream. It’s so easy that it’s the perfect summer treat or dessert for kids to make. It’s creamy and decandent and better than any store bought ice cream you can buy at the grocery store. 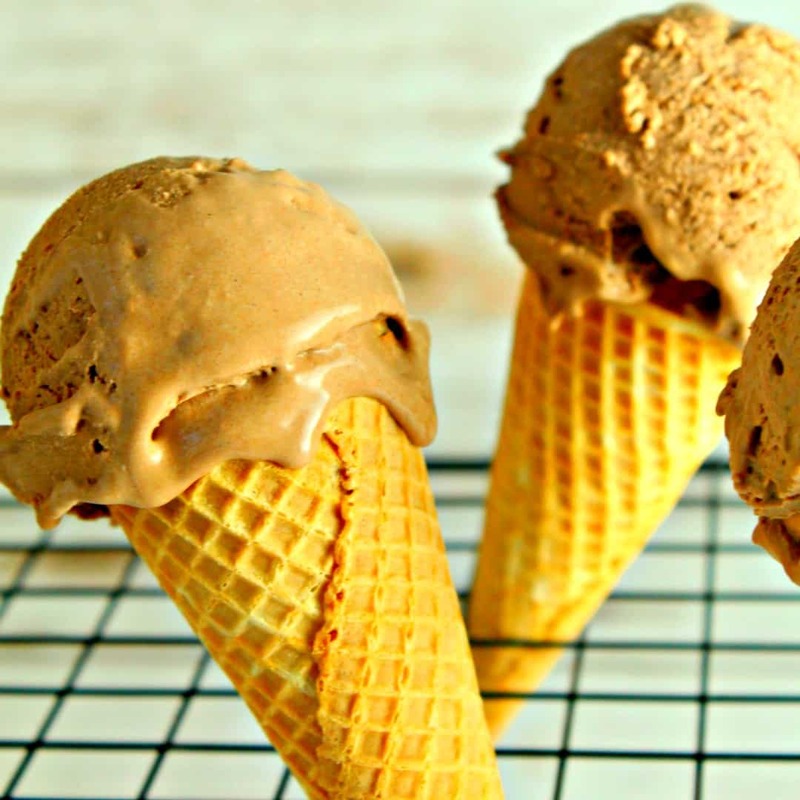 And even better, this homemade ice cream you can feel good about feeding your family with only 3 ingredients and not all the added stuff that you can’t even pronounce. 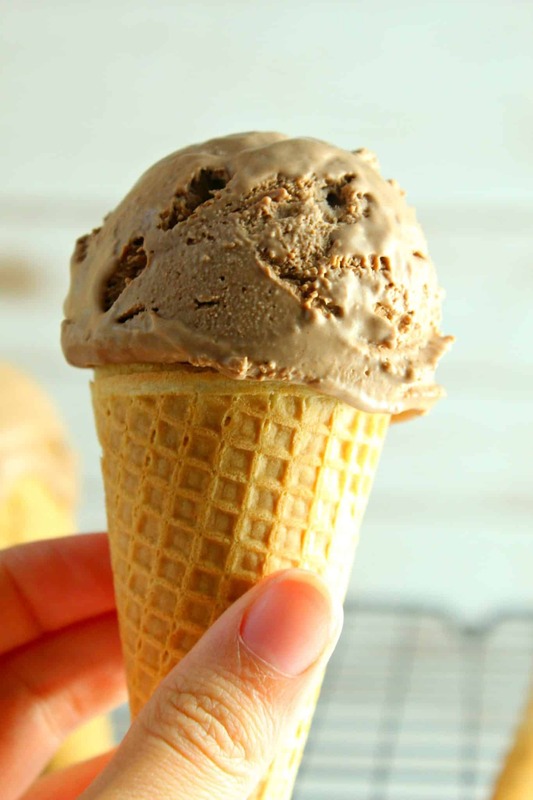 I think this chocolate ice cream would go great with my Vanilla Cappuccino cupcakes.